Dennis Maitland is a young, quickly rising Detroit based photographer with a constantly changing creative vision. He is known for pushing the boundaries and limits of himself which can be seen his photos. 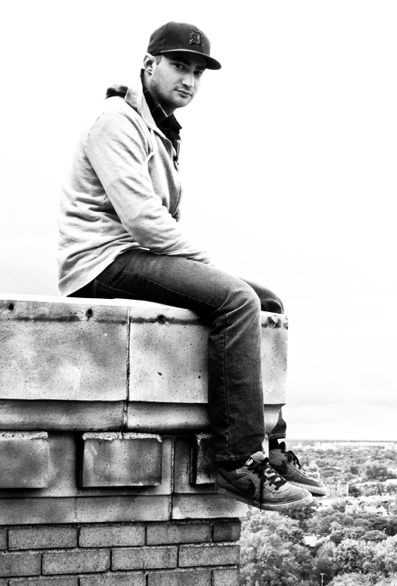 Dennis has an education in film production/visual effects which helped hone his photography talent and vision. His theme and passion is quite obvious as most of his photos are from the Detroit (and surrounding) area. Detroit is seen as a mecca by urban explorers/photographers and is flooded with talented. Dennis helped make himself stand out by numerous photo series that are unlike anything Detroit has seen. His “Year of the Rabbit” series helped him build a respectable reputation and fan base in the Detroit area. The self portrait project includes numerous photos of Dennis and his rubber rabbit mask. Utilizing the abandoned buildings of Detroit as his backdrop, the photos have a somewhat creepy, ominous feeling to them. Dennis’ most talked about series is sure to make some stomachs turn and even give a sense of vertigo. 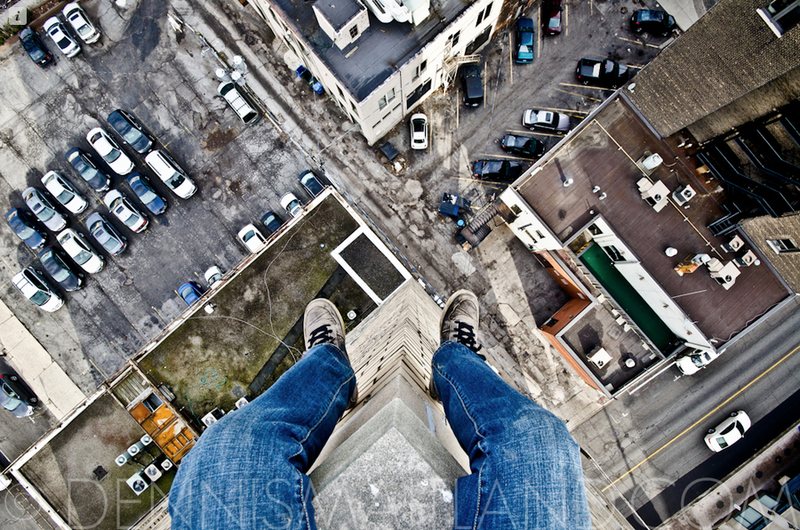 His “Life on the Edge” series features pictures of Dennis’ feet dangling over the edge of buildings located primarily throughout Detroit. The outcome being a collection of astounding images, beautifully shot with stunning contrast and depth which will immerse viewers into a view behind his camera. No Photoshop trickery here. 5 – 16×20’s, 5 – 18×24’s, 1 – 20×30 all framed and matted. Also about 30+ 8×10/8×12 prints in clear plastic sleeves. This entry was posted in show promo and tagged art, decay, Dennis Maitland, detroit, heights, photography, ruins, urban exploring. Bookmark the permalink.